Opportunities for cycling in the beautiful south west counties of England is endless. From the very serious indeed to the rider who just wants a day out or a weekend break. Incredible variations of distance, of stunning scenery and levels of difficulty create a wealth of rides that can only delight. An inexpensive riding holiday in the Wessex region could easily be organised, the only problem would be what route to take, there are so many! Go alone or as a group – family, friends or workmates. Join a club, there are many – it does not matter whether you are a serious or professional or an occasional friend of this form of transport – there is one for you. A great way to spend time with like minded folk doing something you all enjoy. Pack the bike on the car or go by public transport. Larger train companies take bikes, but the smaller private ones may not. National Express coaches will take bikes if they can be folded and are packed properly. 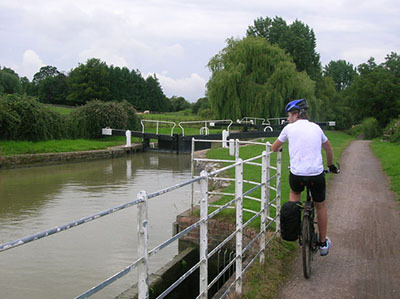 Many cycling routes are also walking and horse riding trails. 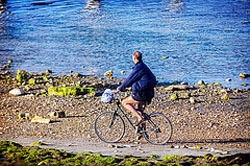 Wessex is a wonderful region for recreational cycling. Each of the counties, Devon, Dorset, Hampshire, the Isle of Wight, Somerset and Wiltshire all have delightful cycle paths for all abilities no matter what age or ability. Try the longer ones in bite size bits as days out. One suggested break is Dorchester to Lyme Regis as a short break. Takes in some wonderful landscapes and interesting places, little hideaways and different road challenges. Not a good one with children as some of the route is on a main road. The coordinator of a National Cycle Network - NCN - is Sustrans and they have numbered the routes. Some of these are very long indeed, but there is no need to ride from one end to the other – unless you want to of course. Safe riding avoiding heavy traffic, many of the routes are off road. 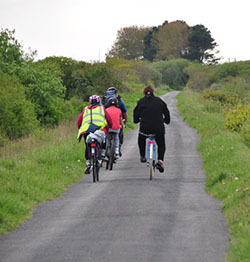 Sustrans state that there is a route within two kilometres of most people so they are easy to access. They have produced a PDF document as a map showing all the network in England, Scotland and Wales. Download it from Sustrans and see the amazing total. Have fun planning a route. Become a Volunteer and get involved! There are some B&B's and guesthouses that will take care of your luggage from their accommodation to your next while you go on your merry way. Check with your accommodation provider beforehand. However you may be nice and organised, travel light and back pack. For some ideas of what self catering and cottage accommodation is available in Wessex you could try this page. Was at one time more popular on the Continent but now the UK is catching up. Road races are from the one day through time trials to the Tours, the most famous of which is of course the Tour de France. Some are single entry others are team events. 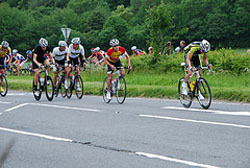 Many cycle competitions in Wessex can be found in our Events pages. 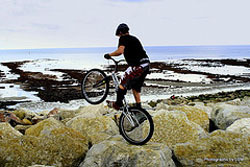 Mountain biking is an increasingly popular sport and some areas of Wessex are viable. Isle of Purbeck perhaps or Dartmoor. Isle of Wight is worth a try. Quad biking is a popular if somewhat dangerous sport. 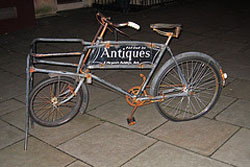 They were invented in 1893 by Royal Enfield not as a sport vehicle but as a road vehicle. Needless to say if they are driven on the road they need all the usual paperwork for a road vehicle! Also known as an all terrain vehicle (ATV) they can be six, four or three wheelers. there is certainly quite a variety including those for work on farms and other such environments. Such is the popularity that there are many places to go and enjoy some time on a quad bike all over the country and there are plenty in Wessex. Perhaps try here as a start. Needs strength and endurance!!! All the attributes of a cyclist and a runner with weightlifting included! A varied obstacle course where mud is normal. An autumn and winter sport some taxing weather can be encountered. Wessex Cyclo Cross is a local organisation catering for folk from 7 to 70. British Cycling has a Cyclo Cross section. 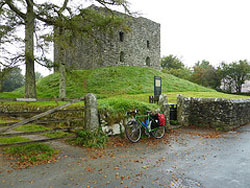 our article, is published in the Travel-Quest Cycle Holiday Directory, and provides a brief overview of cycling opportunities in the Wessex counties. The travel-quest Cycle Holiday Directory is a great resource for finding cycle touring breaks, mountain bike holidays and cyclist friendly accommodation anywhere in the world. 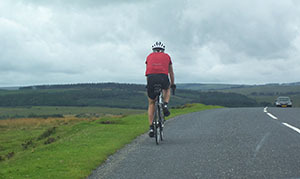 Cycling tour packages all over the country and plenty in Wessex. Pedal Wessex without a care. One can spend many holiday breaks exploring and what better way to see a region than from a bike. Go as a group for fun, or on your own for a peaceful break. The organisation is done. Audax UK is considered to be the foremost long distance association in the country and they state they are the biggest in the world. In their words they “oversee the running of long distance cycling events, and, using a system of time checkpoints, validates and records every successful ride” This one is for the serious long distance rider to enjoy as their shortest is 125 miles. 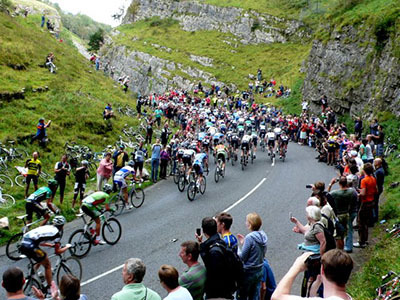 British Cycling is the national governing body for bike racing in Great Britain and administers most competitive riding within Great Britain, The Channel Islands and the Isle of Man. It selects the national competitors to represent Britain both in this country and abroad as well as representing Britain at the world organisation. The Cycling Touring Club. An organisation with roots in the early days and today continuing to promote the interests of all sections of the activity at both country and district levels. Entirely a not for profit organisation they rely on the subscripton of members. Their results over the years at country level have been excellent. At a district level local groups organise rides for most Sundays and longer ones during the summer. Cafe's are important stops for more leisurely ride. Pleasant idea. Something for everyone. CTC Wessex. Cycling for leisure and pleasure. Their area covers all of Dorset, South Wiltshire, Somerset and The New Forest. An organsation dedicated to the non competitive fan who wants a companionable ride. They are a Member Group of the Cycling Touring Club. Or if you want to browse some more, say the county pages or Events there are navigation buttons above on the left. Enjoy. 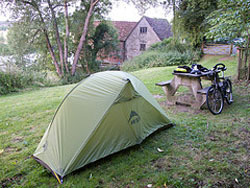 Self catering accommodation is useful where you can take your bike. It would be worth asking the owner if this is possible before you book. National Express will take bikes provided they are properly packed. This is where the folding bike comes in handy, get one with its own case!!! Good gear is a must!!! Spoils the day completely when things like that just do not go right.